New Brand Welly Makes First Aid Kits Worth Showing Off, and They’re Only at Target - SALE NOW ON! As the weather warms up, families are heading outside for backyard fun, playground excursions and plenty of adventures—what better time to stock up on first aid essentials? To help make sure your family has everything they need to be well-prepared, Welly, co-founded by the mastermind behind Method and Olly, just introduced a new take on first aid. The best part? The new brand is now available exclusively in all Target stores and online. Welly’s high-quality materials and brightly colored products echo their philosophy that bumps and scrapes should be celebrated as signs of a day well spent. After all, who says bandages have to blend in? Products in the Welly assortment include different sized bandages in a variety of patterns, single-use antibiotic ointments and other first aid essentials. 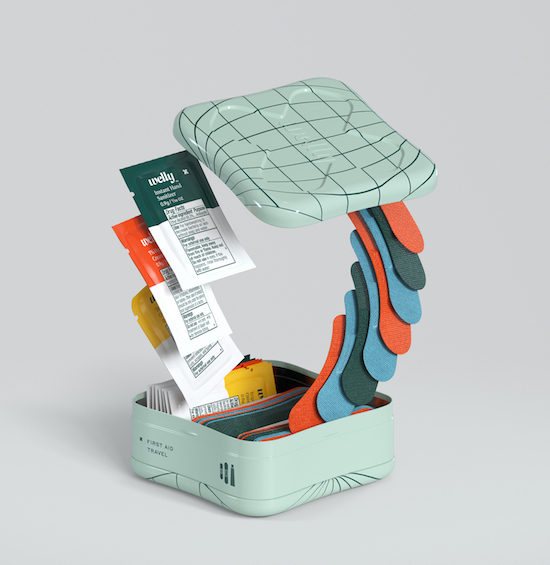 They also have preassembled kits—the Quick Fix Kit, Human Repair Kit, Oops Equipment Tool Kit and Superhero Supplies Assorted Ointment Kit—that come with a curated assortment and are designed to be stackable, packable and ready for anything. The Welly team set out to overhaul the traditional first aid kit, stocking it with more of what you need and less of what you don’t. Each item is conveniently sized, so you can easily keep one in your backpack, purse or glove compartment, and their stackable design means they’ll keep your medicine cabinet organized. Plus, with 25 items in the complete assortment, there’s a variety of options to fit any need. Check out some of the new items before shopping the full assortment at Target, below! Welly is now available in all Target stores and on Target.com, at prices ranging from $4.99 to $9.99. "'It will obliterate your senses!' reports David Gillin, who obviously writes autobiographically."